Fundraiser! Local business Nomad Naturals has partnered with the museum to raise funds so we can bring you arts and culture all winter long! 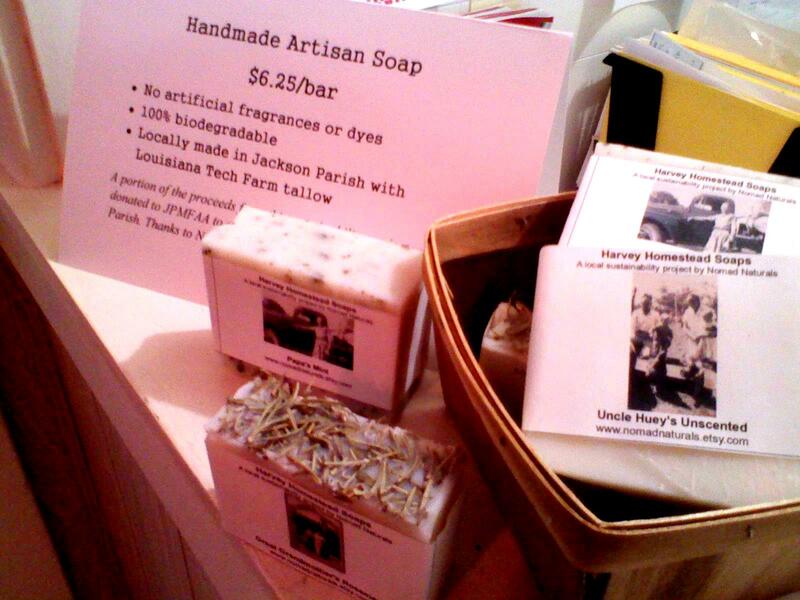 Their handmade artisan soap is made right here in Jackson Parish with no artificial fragrances or dyes, and it is 100% biodegradable. Good for the earth and good for you- AND the purchase of each bar helps JPMFAA to continue its mission of enhancing arts and culture within the parish. Stop by the museum for your bar today!! INVITES YOU TO JOIN US FOR A CONCERT! administered by the Northeast Louisiana Arts Council. We are putting the finishing touches on our newest exhibit, which honors JPSHF inductees from ’09-’13! Congratulations to the 2014 Jackson Parish Sports Hall of Fame inductees. This exhibit will be available for viewing next Saturday, July 5th! !